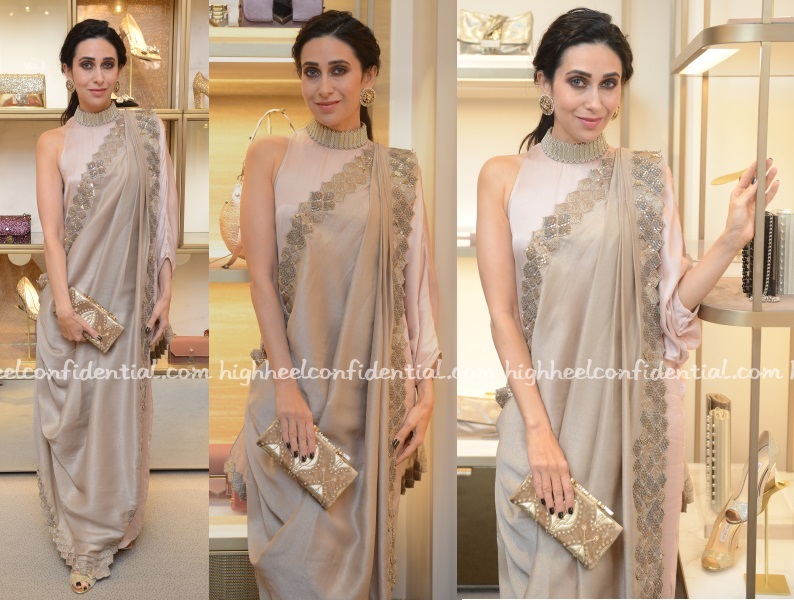 Karisma served as the celebrity guest at the Jimmy Choo store in Delhi where the label’s new limited edition festive clutch was unveiled. For the event, Ms. Kapoor picked a Kiran Uttam Ghosh gold and pink sari which picked up on the color of the bejeweled clutch. I would’ve liked a hint of deep pink on the lips because the look felt just a wee bit one-note but she still looked nice. P.S. Don’t forget to tell us how you like the clutch?